Figi's® Fancy Holiday Cookies. The tradition of Christmas cookie eating just got really easy. No need to bake, not with this delicious variety of fancy, decorated Christmas treats! Cookies include European tarts, chocolate fingers, vanilla thumbprints, holiday dip cookies and more! 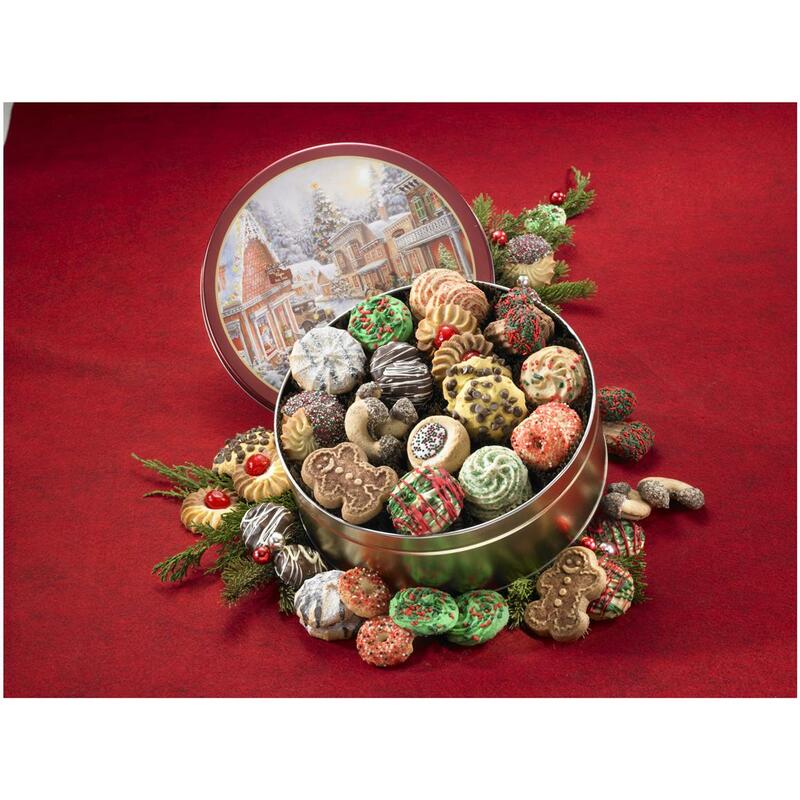 And wrapping is all taken care of... these festive Cookies are layered in a nostalgic gift tin. 2 lbs., 1 oz.